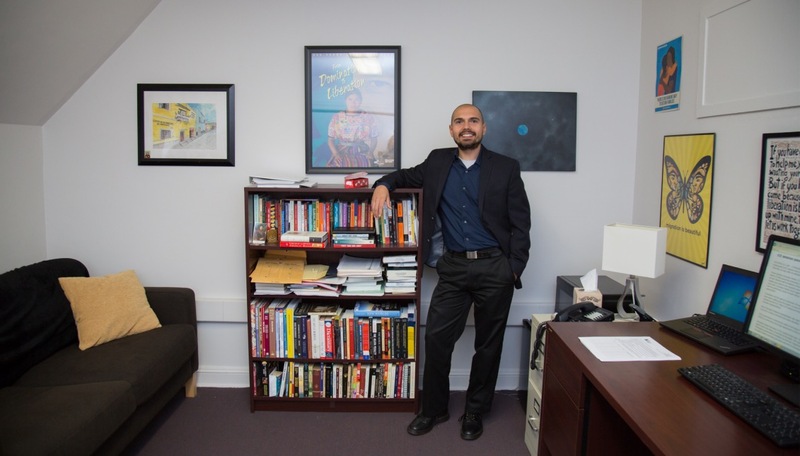 A Latino professor leads Philadelphia's first academic Center on Immigration issues. Almost two months ago Cabrini University inaugurated its Center on Immigration, the first academic spot in Philadelphia dedicated exclusively to studying migration as a social, economic and political phenomenon, as well as promoting cultural expression to raise awareness of the problems that are affecting the immigrant community in the region. The project is another Cabrini's step on the path its founders designed 60 years ago under the legacy of mother Francis Xavier Cabrini: to protect and provide support to all those people who for any reason were forced to seek a better life away from their country of origin. In that sense, the Center on Immigration is projected as a place whose main objective is to create rigorous knowledge in times when “alternative facts” make their way into the political agenda of Washington D.C. and the White House. 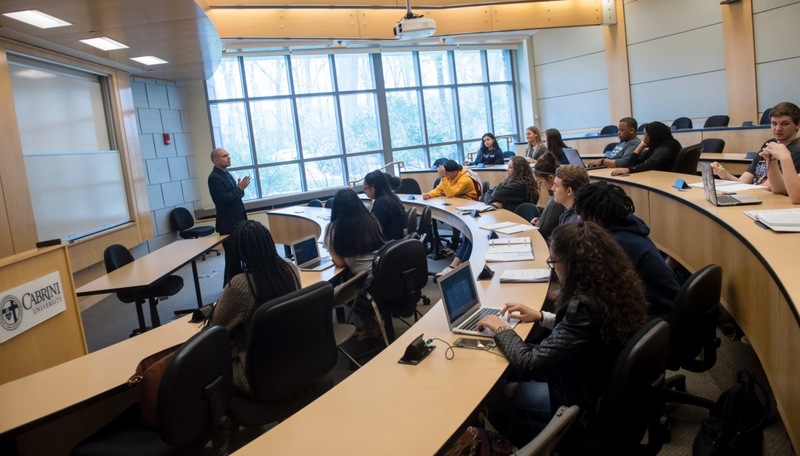 This is an academic exercise in which education is understood as the best tool to stop the wave of stigmatization against Muslims, Latinos and other ethnic groups. To achieve this, its director, Abel Rodríguez says that one of the main activities that the center will promote will be the articulation between the academic research and the social work that non-profit organizations do in Philadelphia and the rest of Pennsylvania towards the defense of the communities. "I have only been in Cabrini for two years and I know of the efforts and the time that this institution has given to these issues. What we did was think about how we could unify the efforts and expand them to have a greater effect on the migratory agenda”. “The idea then was to create a center that would become a focus for articulation of all the work on migratory issues that has been done before, organizing it better and expanding it beyond the university, at a state and, hopefully, national level,” said Rodríguez. One of the primary objectives of the center will be to use research and scholarship in order to take action - in order to raise awareness about immigration issues and ideally to influence policy over immigration issues. However the road is still long and the truth is that the center is only taking its first steps (it is in pre-operative stage: searching for a physical space on the campus of the university or in Norristown and financial resources to support research, eventually hiring some academic staff). Despite this, the Center for Immigration Studies has already defined a north: to become the main academic source on migratory issues with the capacity to provide technical advice directed essentially to state legislators to achieve, design and implement more just laws. "I am very enthusiastic that somehow we are pioneers in the region with these types of centers and that (Cabrini University) has agreed to take this step," Rodríguez said while noting that this is the proper time for Philadelphia to have a place that is dedicated to the analysis of migration, without any partisanship and closer to a scientific position that will put an end to many misunderstandings and myths that place the foreigners as the enemy number one of the American working class. Considering the historic moment that the United States is going through, with an unprecedented president, Rodríguez believes that there is no better time to put education to the service of a just cause: "This is an important moment to inaugurate the center for everything that is happening in political terms and that is dividing us today. This is the continuation of a system that has been configured for decades: with massive incarcerations, increased presence of ICE agents in communities, indiscriminate detentions..."
The fact that the Center for Immigration Studies is a pioneering proposal led by a university in the region whose mission focuses on the social work of Mother Cabrini, is not a surprise. But the fact that its director is a Hispanic born in Sounderton (40 miles northwest of Philadelphia) and grew up in a Cuban family - whose parents emigrated from the island separately in 1969 - is a happy coincidence. Abel Rodríguez is the man behind the project. This specialist in immigration law has taugth Religion, Law and Social Justice in Cabrini for the past two years. But his professional experience in immigrant rights - as a lawyer and activist - gives him enough merits to lead the incursion of the academy into the immigration case. As a graduate of the University of Pennsylvania and with experience in community work in North Philadelphia, this Hispanic lawyer understands, like only few people do, the difficulties thousands of immigrants and refugees experience in the United States. And he carries immigration in his DNA: his father was a Cuban rafter who made his way to Pennsylvania to work for much of his life in the Stroehmann traditional bakery. His mother spent as many as a nanny without receiving a wage increase "because of her immigrant status." Rodríguez recalls growing up amidst those difficulties and the lack of education that many Americans have about ethnic minorities such as the Latino community. That is why he proposed the idea of taking his experience as an activist on the Mexican border to the classrooms, speaking as a migrant lawyer and as the son of a Latino family who took every imaginable risk to ensure a better quality of life. Rodríguez spoke with AL DÍA about this and other issues that he intends to address at Cabrini Center for Immigration. Can you give us the reason the center was launched and what the purpose of the center itself is? Immigration isn’t a new issue to Cabrini. It’s not that we’re just now starting to think about immigration issues.There were certainly people there before me who were informing students of immigration issues, getting them involved in advocacy and lobbying work. Obviously, Mother Cabrini is the patron saint of immigrants, so obviously it’s been there. [...] The university sees it as a natural progression of the mission of the university, the work of Mother Cabrini and her legacy, the work of the sisters, this is all a continuation of all of the work that’s happened over the past more than a decade. [...] The objectives of the center: it’s a non-partisan academic center that will focus on issues of migration and immigration. One of the primary objectives of the center will be to use research and scholarship in order to take action - in order to raise awareness about immigration issues and ideally to influence policy over immigration issues. So to influence both people’s thinking but also to influence policy around immigration. And so we see ourselves doing that on various levels. [...] I think to break it down it’s education and advocacy, raising awareness, getting people involved and advocating, etc. So I do that in my classes, but really the idea is to get people more involved in advocacy. And then all of that work needs to be grounded in research and scholarship and facts. [...] And continuing to keep Cabrini and welcoming university and hopefully functioning as a model to other institutions. Do you envision a future where people see the rhetoric against Latino immigrants eventually subside and we see Latinos embraced by society? I think not soon enough. I think eventually that will just based on if we’re looking at it in terms of using the past to see how immigration has worked and how it can go in the future. Eventually immigrants become more accepted. The Chinese were excluded for decades from the country, eventually that was lifted. I’m not saying there’s no animosity towards Asian immigrants as well, I’m saying the focus has shifted over the years. It shifted from the Chinese immigrants, then to Irish and Italian immigrants to Jewish immigrants, and now, Latino immigrants. So I see those sentiments shifting in the future but not soon enough. But I do think that eventually as people become more educated on these issues and as the Latino population increases in the United States, those sentiments will at least decrease. I don’t think it will ever end but at least it will decrease. But my concern is the animosity won’t end but it will shift to another group, that the new wave of immigrants who come it will shift to them. How can Latinos prevent themselves from becoming a part of the group that judges marginalized groups and immigrants once more accepted by society? [The] key to that is remembering the past. So not forgetting the experiences that our families before us went though, so not forgetting our parents’, grandparents’, or great-grandparents’, immigration stories - their reasons that they decided to - or had to migrate - and the experiences they went through. I think remembering that and not forgetting that past is key because once we forget that past it’s easy to fall into the the, “Oh who are these newcomers?” And again those myths, “Who are these people coming and taking jobs? They’re going to increase the crime rate,” etc. It’s all of those myths around immigration. I think not forgetting that past is absolutely key and I think there are a lot of different ways to hold on to that past and I think not only sharing it between family but also making sure that the historians are holding on to those stories. I think that’s the role of academia too in doing that - not forgetting the struggles our communities went through to get to that. The Latino community plays a vital role in this society that is racially divide by skin color, the Latino represents a mixed group, we act as connectors. Do you see any connection between the groups and Latinos? I think having our rights respected in the United States and having our rights fully realized and recognized, I think that’s something that isn’t going to be given, and I don’t think it’s something we should expect to be given. It’s something we’re going to have to fight for. And I think in this struggle, we can be a part of unifying the country and being a bridge among different groups. Because it’s like you said, culturally we’re very diverse and I think we can absolutely act as a bridge and a unifier for the country. I think part of that is first the struggle to first be fully recognized as a part of the country. I think we’re still at a point where Latinos are considered “other.” I think as we grow to fully integrate ourselves [...] as we are able to struggle and take on leadership roles I think we can fill those gaps and possibly unite the country. People would say that Philadelphia can’t be a sanctuary city because of the heavy police presence. Would you agree? Mayor Kenney has been a great lead in changing the terminology from “sanctuary city” to “4th amendment city” for a number of reasons and one is the history of sanctuary. Sanctuary in the 80s and 90s was a really powerful movement of civil disobedience where people provided others protection from immigration enforcement. That’s not what cities are doing. Cities are complying with the law, they’re just choosing not to cooperate in certain ways with federal immigration law enforcement. And so Juntos has done a lot of work on this in saying we can’t necessarily call ourselves a sanctuary city because although some of us who are advocates do support those policies, in terms of not honoring ICE detainers, and those are steps in the right direction, we have not fully become a sanctuary because there is a heavy policing and targeting in our neighborhoods of color. There's still racial profiling that happens in this city. There's still stop and frisk that happens in the city.[...] I think a lot more needs to be done.